A Home Office analysis showed thousands of online ISIS tweets and other material over the past year. Unmentioned was US and UK support for the terrorist group, recruiting, arming, funding, training and directing its fighters, using them as imperial foot soldiers in Syria, Iraq and elsewhere. The way to end extremist online content from ISIS and likeminded terrorist groups is by no longer supporting them, combating their fighters instead of using them. Most important is ending US-led imperial wars in multiple theaters. ISIS and likeminded terrorist groups were created to serve as imperial ground forces, aided by Pentagon-led terror-bombing. 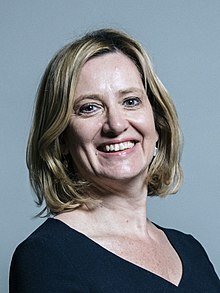 Changes Rudd proposed aim to strengthen Britain’s 2000 Terrorism Act. It authorizes civil liberties-destroying police powers, including repressive stop-and-searches ruled illegal by the European Court of Human Rights. It criminalizes being a member of, supporting, or wearing clothing arousing suspicion of involvement with a proscribed group. Dozens named are nearly all Muslim ones. Current UK law applies only to downloaded and saved extremist material. Proposed changes criminalize reading it online. A previous article discussed Prime Minister Theresa May wanting greater government control of the Internet. If readership of material Tories call unacceptable is criminalized, what’s next? Thought control? Criminalizing legitimate criticism of government policies? Public protests against government policies? Banning free expression on any topics online or in public spaces altogether? America, Britain and other Western nations are heading toward instituting full-blown tyranny. Perhaps another state-sponsored 9/11-type incident will assure it.